I’ve been a bit lax in blogging to say the least, but it’ll all make sense very soon. That said, I had a wonderful time visiting my sister! We ate everything I’d been missing, got mani/pedis, and made up for lost time thrift shopping. I even scored a Diane von Furstenberg dress for $5.49!!! The first time I met my stepkids was for dessert at Robert’s apartment and this is what I brought! 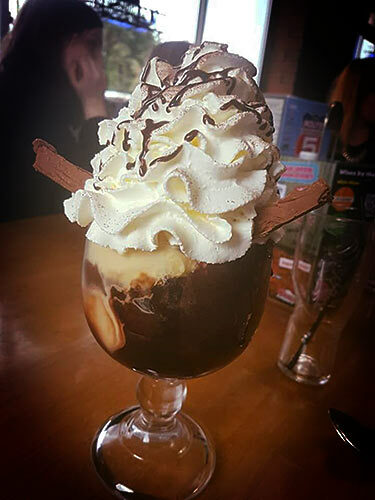 Crumbled brownie pieces caught between ice cream and a thick fudge sauce, it’s a calorie-counter’s nightmare, and worth every calorie! The hot fudge brownie sundae is a simple dessert with relatively few ingredients, the kind that can be thrown together in no time. Just bake some brownies ahead of time, add ice cream and hot fudge sauce, top with whipped cream and drizzle with more hot fudge. Never made brownies before? Don’t worry! The BBC has you covered with this simple recipe. Comfort in a crust! Whether it’s homemade or store bought, a classic apple pie is good for the soul. 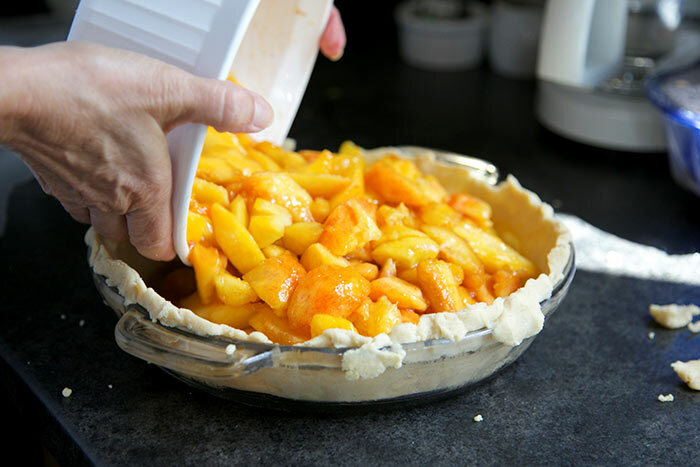 Serve it warm with whipped cream or ice cream to soften the crust. Or serve it the British way, with custard, which is easy enough to make at home. Master it and you’ll end up with a molten, vanilla topping that’ll take your pie one step closer to Anglophile perfection. Ghost stories around the campfire, marshmallows roasting on sticks. 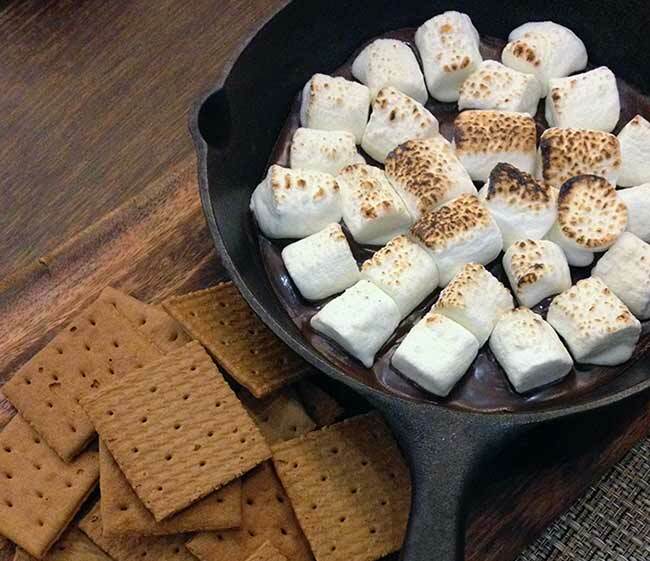 Deeply rooted in memories of American childhoods and camping trips, S’mores are practically a legend. 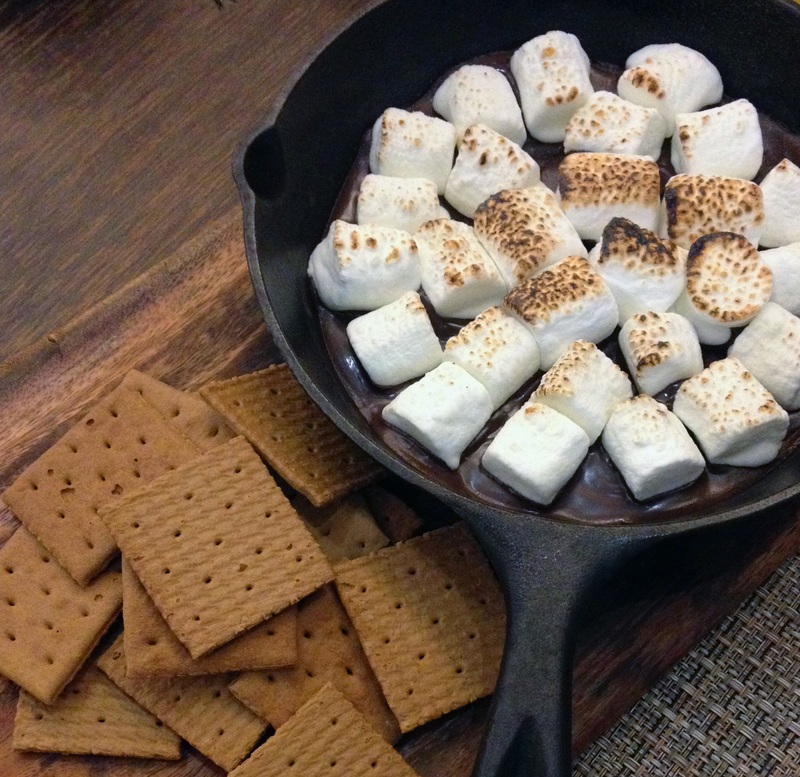 Squeeze a (vegan) marshmallow between two graham crackers, add a bit of chocolate (or Nutella), roast to taste, and devour without hesitation. If you’re in London, Deliveroo recommends Scoop for their DIY S’mores, which use British digestives to create this American classic. I can vouch for the digestives, which are my go-to substitute for graham crackers, which aren’t available in Denmark. A favorite around the holiday season and definitely an American classic, this was the first American dessert that I introduced to my in-laws. This pumpkin pie recipe is practically foolproof and you can make it with canned or fresh pumpkin. Whatever you do, don’t forget the whipped cream! So there you have it… five of my favorite American desserts! What are your favorite American desserts? You are speaking my language when talking apple pie and ice cream cake. Of course, placing vanilla ice cream on a slice of warm apple pie is also Heavenly. I can definitely see why these desserts made your list! Wow you got me beat with that five dollar DVF dress, my best score so far was a Calvin Klein dress at Macy’s for twelve! Yes please! I love nearly all of these, especially a brownie sundae and apple pie. I’m English and before moving to the States we had a cooking apple tree in the garden, perfect for apple pie. I miss that and must get back on the pie baking! 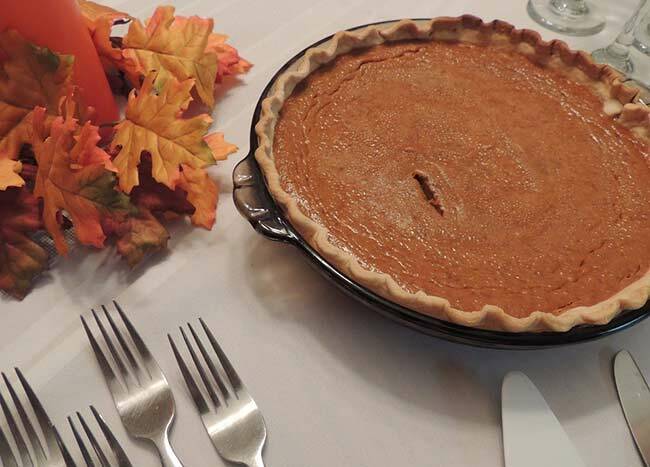 The only one I’m not the biggest fan of is pumpkin pie… I know, Thanksgiving’s worst dinner guest! haha But seriously people, stick to Pecan Pie, so much better! I love these and yes they will be on my Holiday menu to create especially Pumpkin pie because I’ve never made my own. The Hot Fudge Brownie Sundaes makes me want to send my husband to the store now so I can make tonight…lol! What a great list of desserts! They are all indeed 5 American Desserts everyone should try. My favorite will always be good ol Apple Pie! I do prefer apple crumble though. All of these desserts are fantastic but my very favorite dessert of all time is a Smore. I love making them anytime of the year and when Diary Queen made a Smores Blizzard I was in trouble! Man I wish they would bring that back. Pumpkin pie is a close 2nd! It had been at least 20 minutes since I thought about chocolate cake or apple pie until I saw this but now that is all I will be thinking about non stop! lol All of these look amazing and I love nothing more than indulging in a delicious dessert like any of these! I think I will have to give in to the cravings now! I would love Hot Fudge Brownies Sundaes and Pumpkin pie. I don’t say no to chocolate and that pumpkin pie looks so tasty. Well, you defiantly have an awesome list desserts. I would say most of these are dessert staples. We make brownies almost weekly at our house and turning them into a hot fudge sundae is perfect after dinner. But you’re right, a calorie buster!! And pumpkin and apple pie… always a SCORE!!! 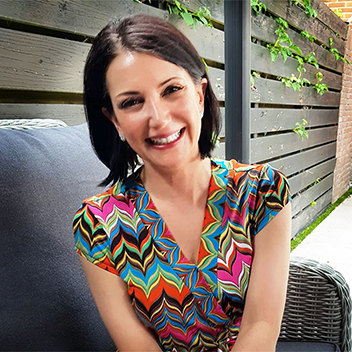 Come back in mid-January… there’s lots happening! These truly are all American classic desserts. 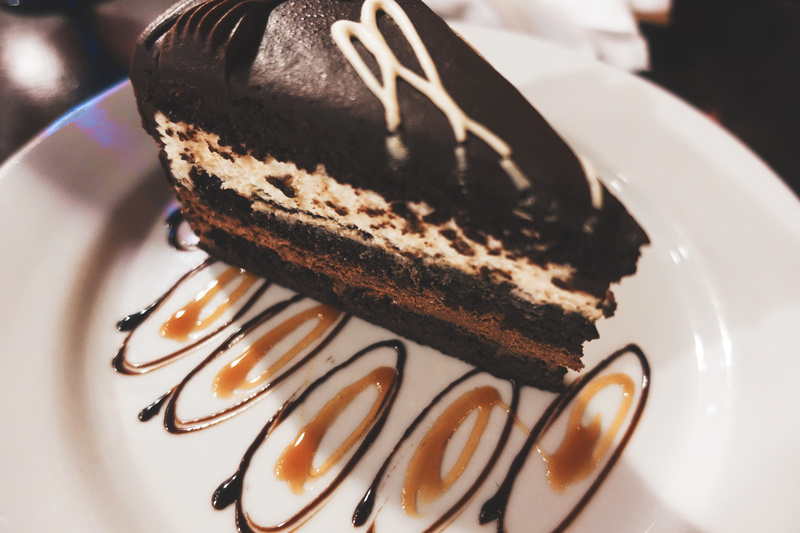 First off, your photos are making me so hungry for dessert right now. I just love hot fudge sundaes adding the brownie makes it a perfect treat. Thanks for the calorie-free break!